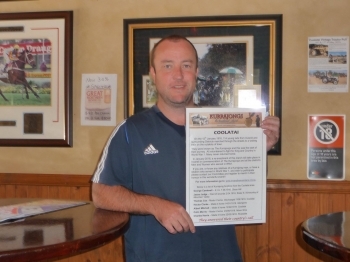 As part of the promotion of The Kurrajong re-enactment march, one of our Committee members today travelled out to Coolatai and on to Warialda to leave advertising posters. At Coolatai she met with Graham Sweeney, (pictured right) owner of the Walleroo Hotel, who kindly agreed to display our poster after hearing the story of The Kurrajongs. 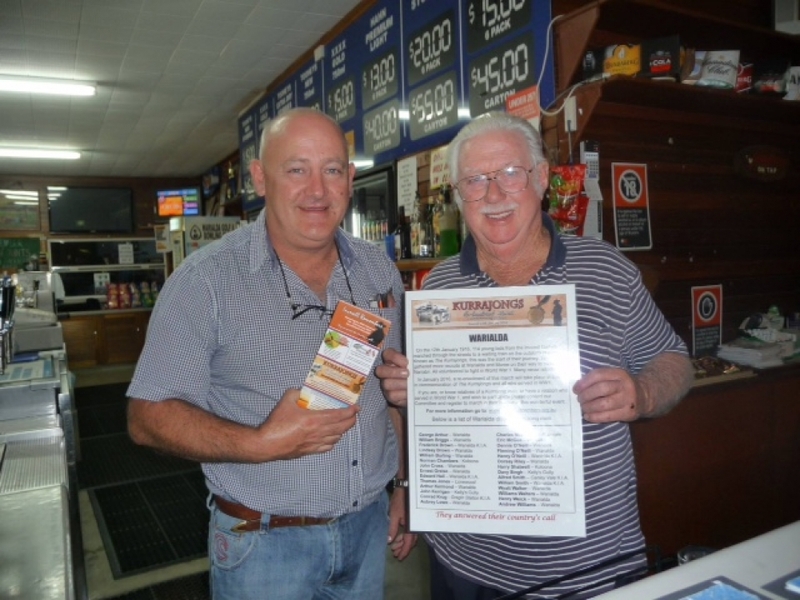 At Warialda, Vicki met with Graham Moxey and Mick Farrell (pictured below) at the Warialda Golf and Bowling Club who now have a poster and some of our flyers there. Last stop was at the Delungra Hotel where the busy Publican also agreed to display a poster. Thanks to these people for helping us spread the word and try to find relatives of The Kurrajongs.